Kangen Water - The Most Powerful Water in Existence! You've Just Discovered The Most Effective Way To Rid Your Body Of Built Up Organic Wastes* By Harnessing The Power Of Water. 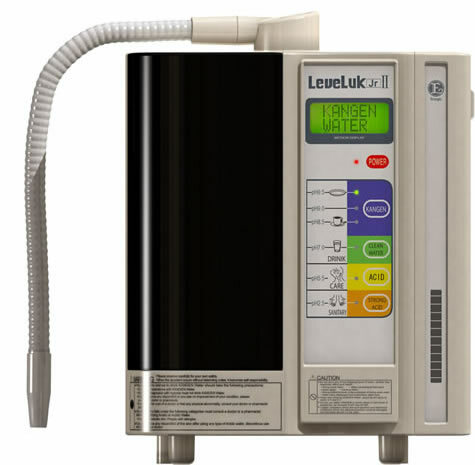 Kangen Water Technology is so effective, it has been approved as a medical device by the Japanese Ministry of Health & Welfare. (The Japanese equivalent of the FDA ). To be EXACT, Kangen water is alkaline, ionized, anti-oxidant electron rich, restructured, micro- clustered, active hydrogen saturated, oxidation reduced, powerful living water! The Answer To Vigorous Health, Longevity, & Age Reversing You've Been Looking For! The importance of water to human life can not be understated. Our bodies are made up of 70% water, our blood more than 80%, our brain over 75%, and our liver over 95%. Many important processes within our body rely on water. We are continually learning more and more about how crucial good water is to good health, and how different types of water affect us. 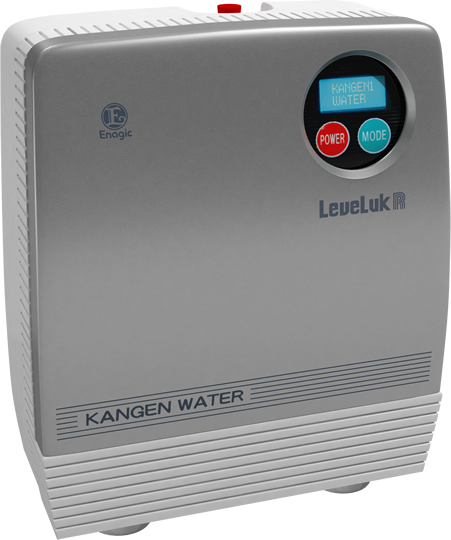 Kangen is a Japanese word, best translated into English as "Return To Original" which means several things when used to describe water. Kangen water is simply an easier way of stating… "Alkaline, ionized, anti-oxidant electron rich, restructured, micro clustered, active hydrogen saturated, oxidation reduced, powerful living water". It is trademarked and makes our lives a whole lot easier than having to say all this each time. What the name brand Kleenex is to tissue paper, Kangen is to alkaline, ionized water. 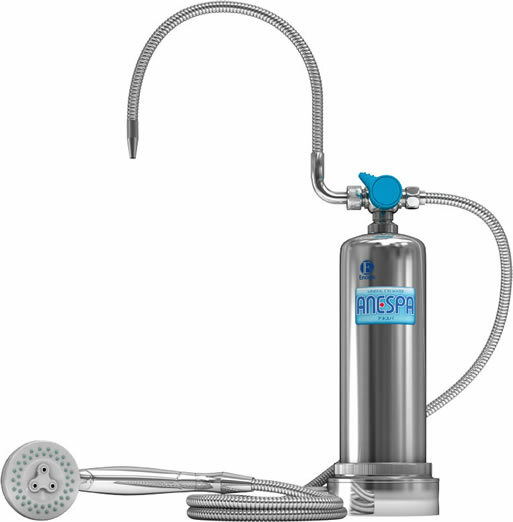 Kangen Water is first purified through a carbon pre-filter, then given an electrical charge through a Special Electrolysis Process to recreate electron rich, structured, alkaline water. In plain old English.... It's now living water again. 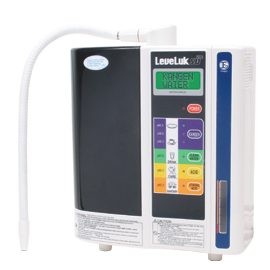 Kangen water Flushes Toxins and Neutralizes Acid throughout your body. Kangen water is a powerful antioxidant... more powerful than any single food or vitamin supplement because Kangen water contains active hydrogen which supplies huge amounts of extra electrons to our body. It is now a common knowledge that many medical benefits come from anti-oxidants. In fact, the antioxidant potential of a single glass of Kangen water would cost several dollars to duplicate with vitamin supplements, and they would never be absorbed by our body the way water is. 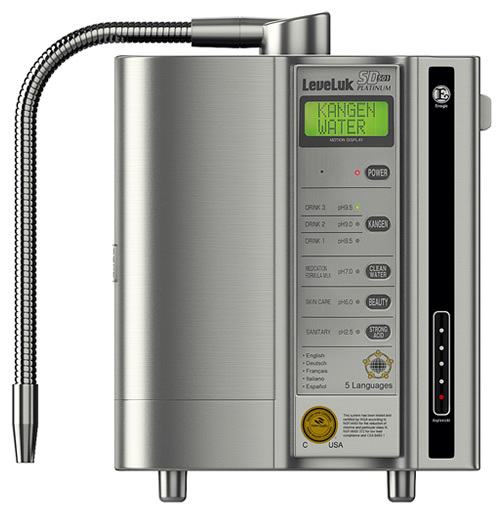 Most other water electrolysis equipment do not create active hydrogen in their water, therefore, the equipment merely produces ionized alkaline water... not true Kangen water. Small clusters means that your body can readily absorb this water into your cells in mere seconds. This means that vitamins and minerals are delivered much more efficiently and cellular waste is removed more efficiently! Reverse osmosis, distilled, bottled, and tap water will slosh around in your stomach longer, and are not as efficient as "structured" water. With this water, your body will enjoy quicker cellular hydration and super waste elimination. 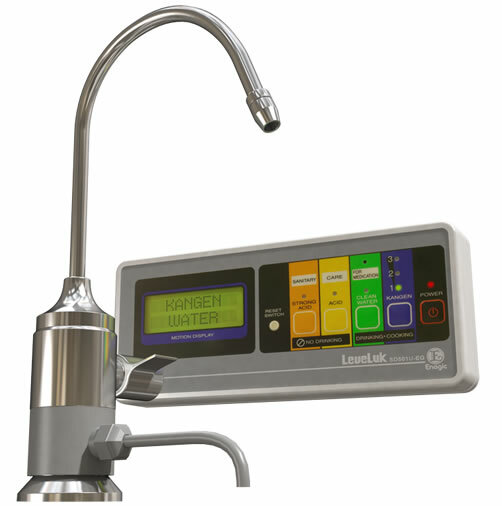 The electrical charge of Kangen machine re-arranges healthy minerals that are naturally included in your tap water. As a result, Kangen water contains essential minerals, such as Calcium, Magnesium, and Potassium, in an ionic form that can easily be assimilated immediately into your body, yet dis-assembles unwanted minerals, chemicals, and other compounds. Oxidation Reduction Potential - "ORP"
This ORP factor is perhaps one of the most important characteristics of Kangen Water, because this is what distinguishes it from any other water on the planet. Including it's lesser grade cousin, Ionized Alkaline Water. Active oxygen is not healthy for the body and is what you feel if you have ever exercised too hard and felt your lungs burn. This is the type of oxygen that is "reduced" and removed from the water in the body's tissue. Active oxygen is a dangerous "free radical" scavenger of healthy cells! Dissolved Oxygen is the kind that Dr. Warberg discussed, and is what you want left in the water to create a healthy strong body. When you reduce active oxygen from the water before it enters the body, you increase it's power to slow down the oxidation process by eliminating the "free radicals" safely from your body. This dramatically helps to slow down the aging process. Oxidation Reduction Potential (O.R.P.) is a measurement of voltage. The reading of mV indicates the millivolts of hydrogen electrons present in the water available to bond with the free radicals and flush them out. 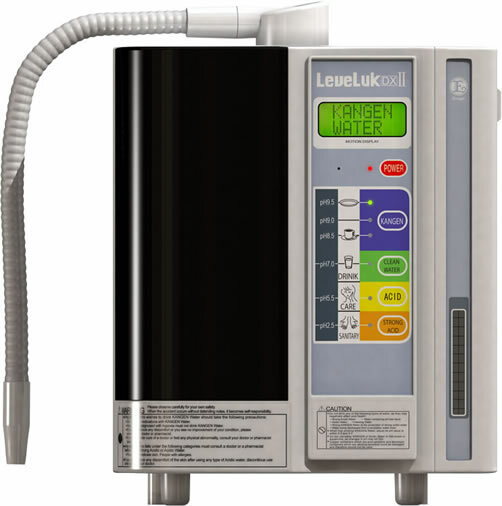 The Kangen water machines can produce incredibly functional high pH waters, called "Super Kangen Water" (ORP: below -550mV) and Super Acidic Water (ORP: over +1000mV). While not meant for drinking, the power of Super Acidic Water has been recognized and widely used in various medical practices in Japan for many years. It kills 99.9% of bacteria on contact. Although these are the bases of more significant illnesses, speaking of them is against the law. However, there are numerous cases in clinical studies conducted by doctors or pharmacists that found drinking Kangen water helps the body heal itself from various diseases. Aggressively Flush Toxins from Your Body! Restore Alkalinity in Your Body with settings of pH 8.5, pH9, or pH 9.5! Better Hydration! Drinking micro-clustered water helps keep the body properly hydrated and assist with colon function better than plain tap, filtered, bottled, distilled, RO, or ozonated waters. Increase stable (dissolved!) oxygen in your body. Needed by every cell in your body for respiration and nutrient breakdown. Enhance delivery of nutrients! For taking supplements. Alkaline water has outstanding dissolving, extracting and anti-oxidizing properties that will enhance the effectiveness of any supplements you may be taking. Cooking with Alkaline water improves the nutritional value and the taste of food and drinks such as tea and coffee. It makes acidic foods and drinks more alkaline. Kangen also has stronger heat conduction than regular water, effectively cutting as much as 30% from cooking times. There are an estimated 30,000 restaurants and eateries in Japan already using Alkaline water to prepare their food, and the quality and cleanliness of Japanese food is world-renowned. As a skin toner and cleaner. Use mild acid 5.5 pH water as a skin toner to give your skin a healthy, radiant shine. After consuming alcohol. Dilute the acidity of the alcohol and prevent hangovers. Use alkaline water ice cubes with your drinks and ingest a sufficient quantity of alkaline water before bed to prevent a hangover. For brewing tea and coffee. Alkaline water prevents tannin in the tea and allows the tea to infuse fully, creating a rich color and taste. In coffee, Kangen brings out the aroma, color and natural flavor, while reducing acidity taste. Only half the amount of coffee beans are required to create the same full taste. For cut flowers and plants. Plants experience great results when watered with ionized water. The life of cut flowers can be lengthened and health restored to sick plants. For pets. Unpleasant odors from both their bodies and waste will be eliminated. They will also experience the same great health benefits as humans. For Artists and Painters. Alkaline water is exceptional when mixing paints. Colors are more vibrant and a smoother texture is created. As an anti-bacterial cleaner. Use the the acidic water setting to create a 100% safe and natural anti-bacterial cleaner. Kills 99.9% of bacteria on contact. Can also be sprayed directly onto the skin and into the throat to prevent a cold. Also ideal as a 100% safe alternative for bathrooms, baby areas and toys. As an all-purpose cleaner. Use the the strong alkaline water setting to create a natural, chemical free cleaner for glass, tiles, bench tops, etc. The single overall greatest benefit is improved intestinal and colon health. As you already know, a large portion of the free radicals in your body are created by a toxic colon. Free radicals also account for 70% of chronic diseases, such as cancer and diabetes. Every day you remain dehydrated and every day you don't take action against the free radicals and acid build-up throughout your bowels and body, you are basically encouraging disease in your body. Food & Acid - Slow Killers "Understanding Alkaline Ionized Water"
and to request an order form. Thank you. Disclaimer: These statements about Kangen, Kangen water, water filtration techniques, etc... have not been evaluated by the Food and Drug Administration. The information contained here is not intended to diagnose, treat, cure, or prevent any disease. Suggestions and ideas presented in this document should not be interpreted as medical advice, meant for diagnosing illness, or for prescriptive purposes. Readers are encouraged to consult their health care provider before beginning any "alternative" protocol. The information in this document is not to be used to replace the services or instructions of a physician or qualified health care practitioner. Kangen water. See also: water filter, ozone water, structured water.